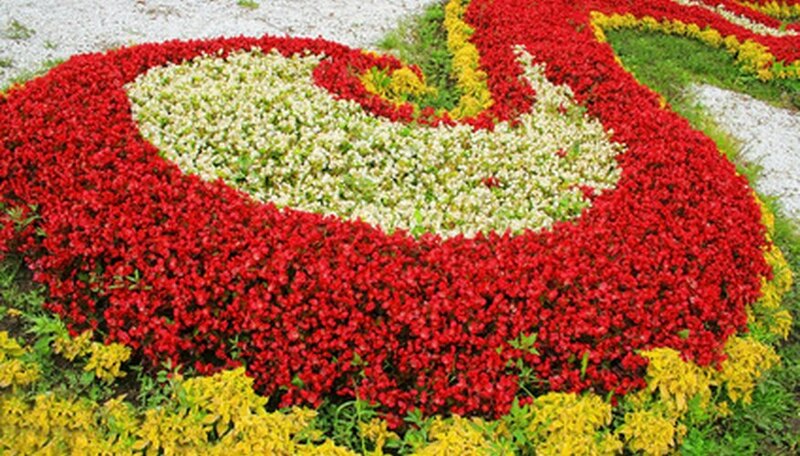 Gardeners often plan perennial flower beds to display over several months. However, it might involve trial and error. Perennial flower beds can have different schemes. For example, plant a variety with blooms in one color or shades of one color such as salvia (with rich purple blooms) and blue lupins. 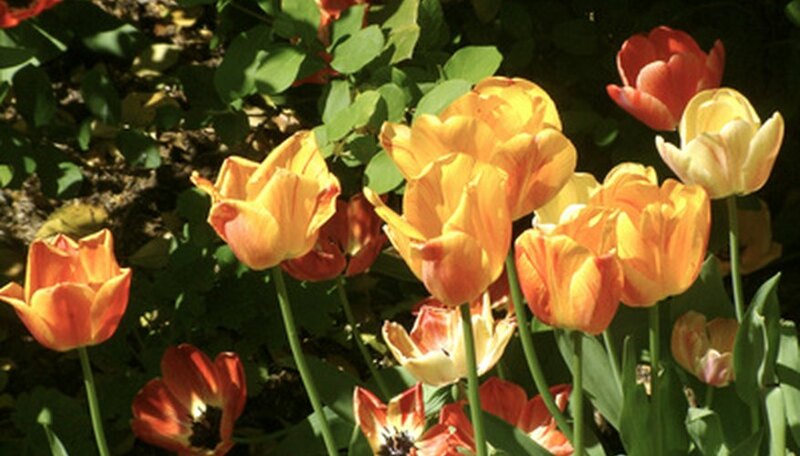 Red, yellow and orange flowering plants create vibrancy, a "hot" color scheme, while using white, blue, cream or pale pink creates a "cool" color scheme. Whatever theme you choose, a well-planted perennial flower bed is close-planted, meaning every inch of soil is covered. Till the soil in the flower beds. Add compost or commercially purchased fertilizer, and rake into the soil to create a good foundation for your perennials. 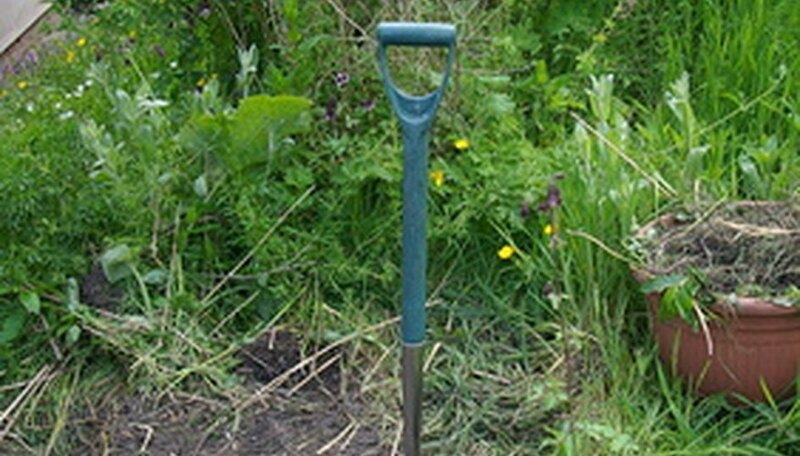 Measure length of flower beds. You will need approximately 4 plants per square foot if you plant perennials 6 inches apart. For a fuller bed, plant perennials 4 inches apart (you will need nine plants per square foot). For a 4-foot-by-12-foot flower bed, you will need approximately 432 plants (4 inches apart). Create a planting scheme. Perennials come in all shapes and sizes. Taller perennials should be planted near the back of a flower bed or against a wall or fence. This gives your flower bed a backbone. In island beds, those which are in the center of your yard, tall perennials should be planted in the center for a formal garden or slightly off center for a less formal look. For an informal look, mix taller plants among shorter perennials. Perennial blooms beautify your garden, but the plant foliage will last all season long. Borrow a book from the library that has photos of perennials if you're unfamiliar with the different types of plants available. 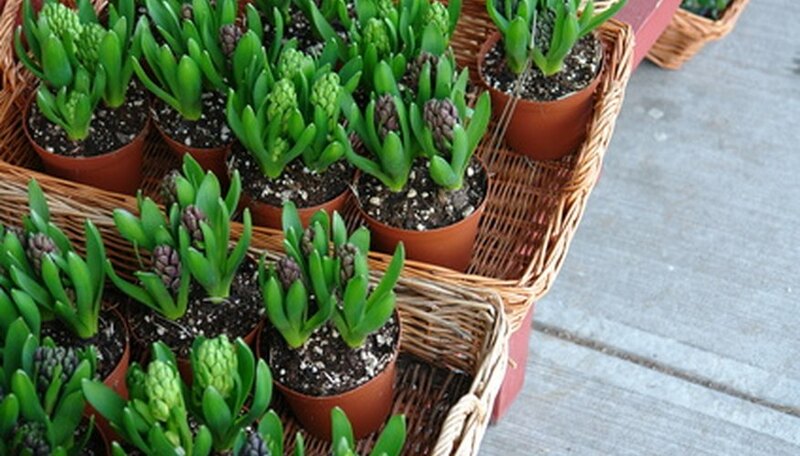 Check with your garden center to see if the plants you like work well in your climate zone. Full sun: Achillea or yarrow: yellow, pink, apricot and crimson varieties; bloom in summer and fall; 2 to 4 feet. Geranium or cranesbill: violet, blue, pink, red flowers; bloom in spring through late summer; 6 inches to 3 feet. Agapanthus or African blue lily: bluish purple or white flowers; bloom in mid-late summer; 3 feet. Geum Chiloense or aveus: bright scarlet flowers; bloom late spring to mid-summer; 12 to 20 inches. Gypsophila or baby's breath: white to pale pink flowers; bloom in mid to late summer; 4 feet. Alchemilla mollis or lady's mantle: lime-green flowers; bloom late spring to summer; 18 inches. Alstroemeria or Peruvian lily: yellow, orange, pink, red flowers; bloom spring to early fall; 1 to 2 feet. Salvia or sage: red or purple flowers; spring to late fall; 1 to 3 feet. Paeonia or peony: pink, purple, white and cream varieties; bloom early to mid-summer; shrub varieties grow to 6 feet; plants to about 3 feet. Shade or partial shade perennials: Platycodon or balloon flower: blue shades, white and pale pink varieties; bloom in summer; 20 inches. Polygonatum or Solomon's seal: white flowers; bloom in late spring; 2 to 3 feet. 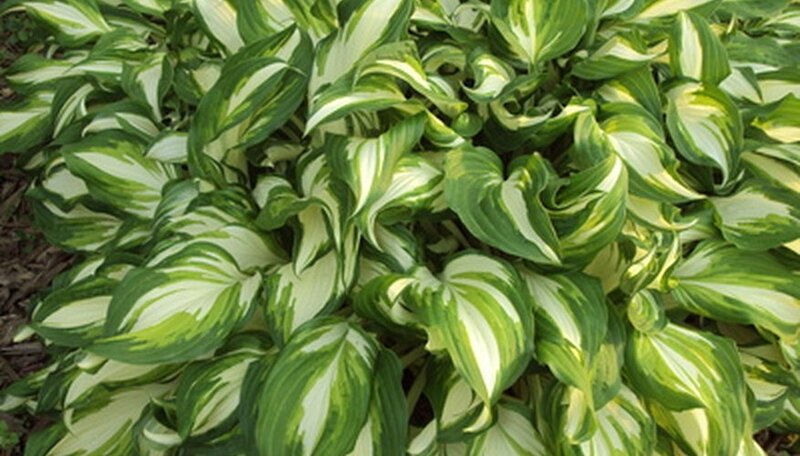 Hosta or plantain lily: white flowers; bloom in summer, colorful foliage all season; 3 feet. Liriope Muscari or lilyleaf: violet flowers; bloom in early fall, variegated foliage; 12 to 14 inches. Lobelia cardinalis or cardinal flower: blue or scarlet flowers; bloom summer to late fall; 36 inches. Tiarella or foam flower: white flowers; bloom late spring to mid-summer; 12 inches. Plant flowers in your prepared beds. Follow directions provided on containers (or get instructions from the garden center) for each species and variety. While you want a full bed of flowers, some larger varieties might need more than 4 to 6 inches of growing space. Plant more than one of each kind, as perennials have more of an impact if planted in "drifts" of two or more. Mulch and water beds. Add organic or commercially purchased fertilizer about two weeks after planting and again in mid-summer. Position clumps of the same plant at intervals along a border to give a garden form. "The Flower Garden Book"; Murdoch Books; 2000. "Perennial Combinations: Stunning Combinations That Make Your Garden Look Fantastic Right From The Start"; C. Colston Burrell; 2008.